When looking at the stars one may see a blurred or “scintillating” picture due to the effects of the turbulent atmosphere. We discuss some aspects of the mathematical modeling of this phenomenon, both from the point of view of modeling the atmosphere as well as the propagation of the optical wave. This modeling in particular allows us to quantify the scintillation effect and the relative scale parameters that are important in the problem. 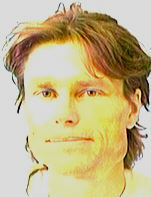 Knut Solna is a Professor in the Department of Mathematics at University of California Irvine.